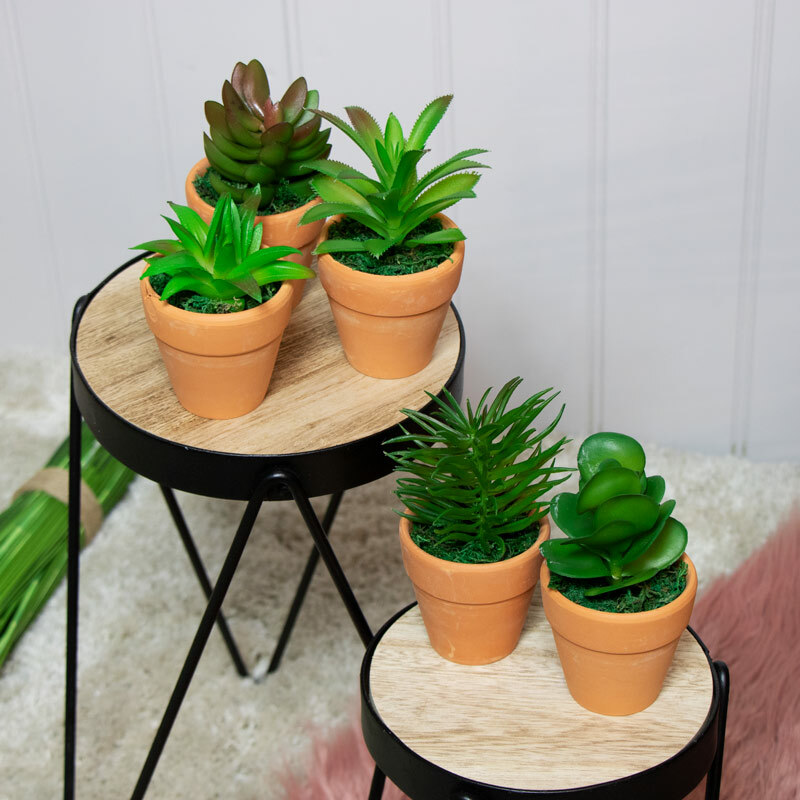 Add a little colour to any room with these quirky artificial plants in pots. 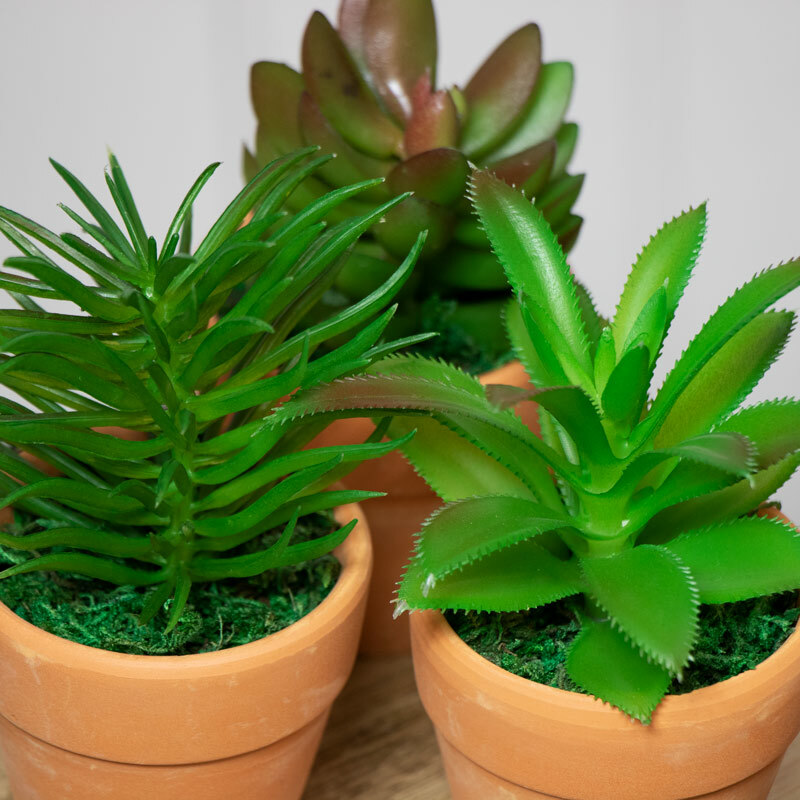 Set of 5 botanical faux succulents. Place them individually or as a group and they will look fantastic whether placed in the living room, kitchen or bathroom. Each fake plant has a real look of nature and is surrounding by artificial moss adding to its life like appearance. The ideal home accessory if you have no time to maintain real ones! 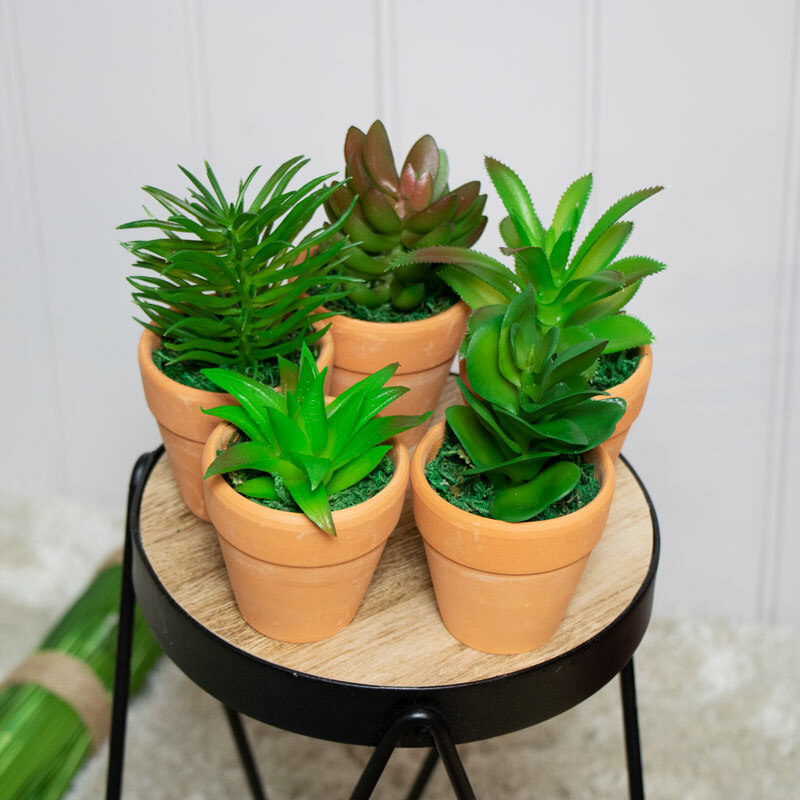 Botany is a trending must have and to make sure we can help you stay on board we have a range of botanical themed items from faux succulent plants to decorative items.